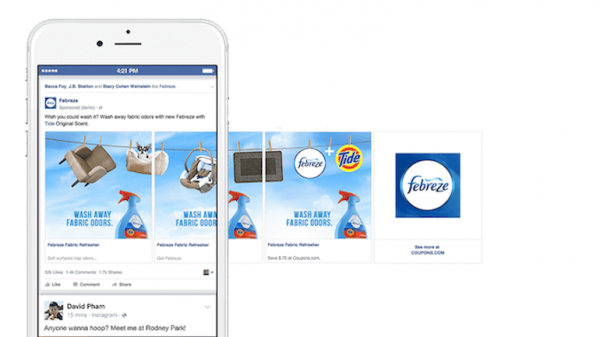 Are Facebook carousel ads an option to get to more results from Facebook? 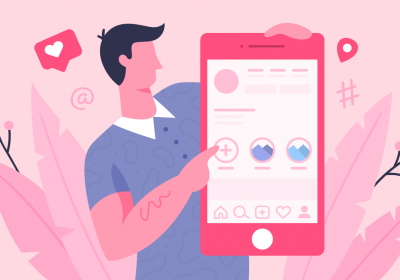 Today we are going to talk about carousel ads on Facebook, and we’ll take a closer look at the good, bad and ugly aspect of carousel ads, and we will ask the age old question. 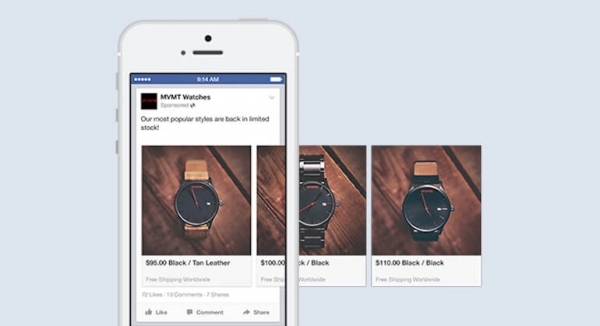 Are Facebook Carousel Ads worth it? Before we answer that question, we need to understand what is a carousel ad. A carousel ad, or a Multi-product ad, is a type of ad which will enable businesses to showcase three products within a single ad unit, on desktop or mobile. Each product highlighted will have its image, description and click target. This definition was probably not needed since everybody saw a carousel ad at least once. However, I want to take a closer look and see if this ad format is worth it, if so, who is it for and how to use it. 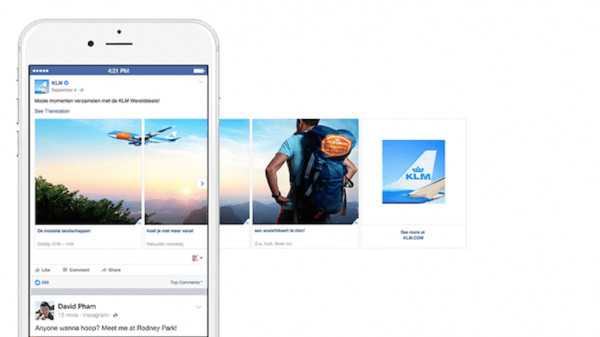 So without further ado, let’s talk about carousel ads and how to create Facebook carousel ads. Carousel ads and e-commerce go hand in hand. If you have an e-commerce company, the most relevant and obvious way to promote your products is through carousel ads. With one campaign, you can promote up to five products, giving the user the possibility to explore some of your items inside the ad. While doing some research for this article, I procrastinated on Facebook for a few minutes, and I stumbled upon this Ad. It is the perfect example of an e-commerce website using carousel ads to promote more than one product at once. I’m a marketer, and that means that I’m usually very curios about other people’s business, especially if they run ad campaigns. So I contacted the CEO, and I asked him about his ads. Apparently, I was retargeted (I have no recollection of going on that website) and the combination of retargeting and carousel ads works the best for them. E-commerce websites just like this one and big brands are taking full advantage of this ad format. You can either promote a few products at once or use them creatively like these guys did. “Once we got them onto the website, the remarketing and emails would take care of the rest. Carousel ads were a perfect way to generate more traffic. As the Facebook algorithm rewards you when people interact with your ads: click, comment, like, shares etc., this also counts when you click to the next “slide” in your carousel ad. The higher interaction rate, the better relevance score, and with a good relevance score you will be seeing lower CPC prices. There are some people complaining about carousel ads, including us. We ran an awareness campaign for our podcast through carousel ads and the outcome wasn’t happy. Huge CPC, small number of unique users seeing the ad, and the reach isn’t very good either. I also asked Scott Beckman from the digital marketing agency, FiveFifty, what was their experience with carousel ads. The price is not the only party pooper. 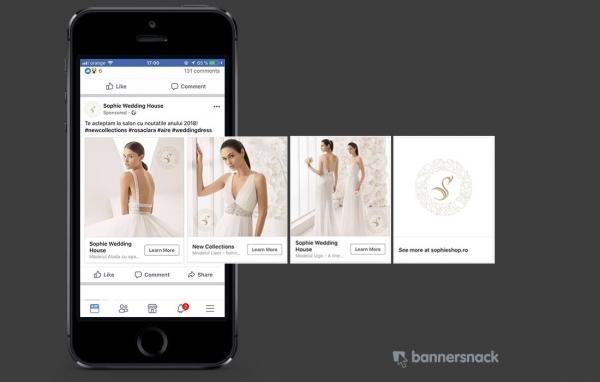 If you don’t own ecommerce website or a huge brad, chances are you are wasting your time and money with Facebook Carousel Ads. We need to understand that there are some ad formats that might not be fitted for our businesses. However, if you have a online shop, go ahead and try these. If you want to raise awareness, this ad type looks the best. If you are creative enough to make your client slide through your carousel ad, he will do the next step and click on your ad. Getting people to click on your ad is generally not enough as Nedalee Thomas, the CEO of Chanson alkaline water would relate. They are a small business from California and they ran a few carousel ads on Facebook. So we understand what is a carousel ad, we know who is it for, now we need to add the last piece of the puzzle. 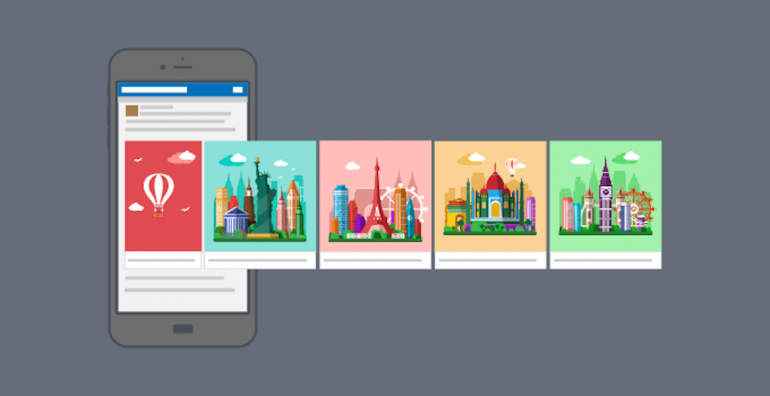 How to create a Facebook carousel ad. You can start creating your visuals by choosing one of our banner templates. 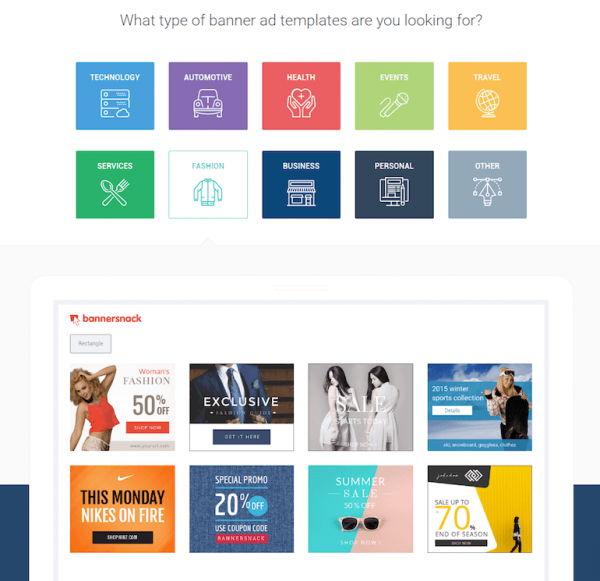 We are adding new templates every day so you can be inspired for your carousel ads. 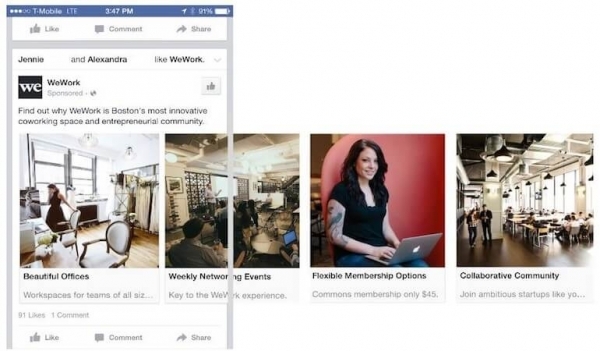 Also, there are a few Design Recommendations provided by Facebook. First, you have to decide if you are going to use a Photo or a Video for your ad. If you are using photos, here are a few things you should consider. Facebook is pretty picky about their videos and there is an entire guideline for Facebook video carousel ads. Here’s where you can read more. The carousel ad concept is great, and we highly recommend it for some people. But, after all, it’s all about testing. It doesn’t matter that it didn’t work for us, or for a few guys because, in the end, we are all different. We optimize our campaigns . Differently, we have a different audience, and we might have different goals. The best thing you can do is to go out there and test them for yourself. Test different ad formats and different creative types. Now back to you, did you used Facebook ad carousel? Love this post. It’s indeed useful and found a Very helpful & informative post.